I found out that this photograph was taken in 1949 in Austria. 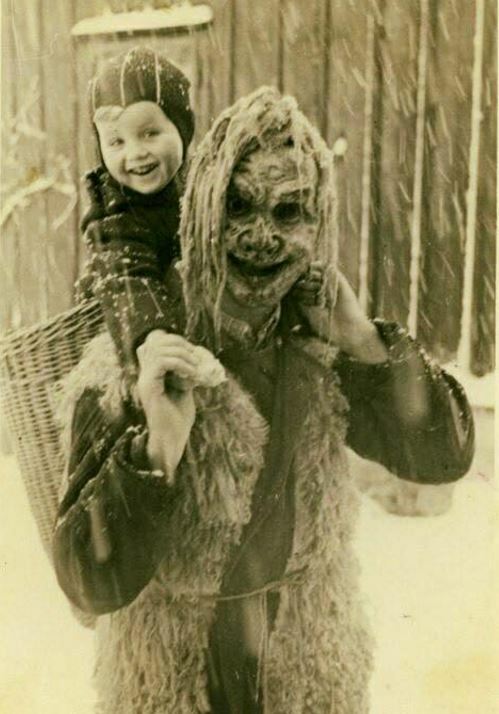 A description by George Brett on Flickr: “Little Brother riding on Krampus Shoulders”. He wanted to share an old family photograph. I don’t know how, but it ended up being misused by a picture spam account. Krampus is a folklore figure who punishes children who have misbehaved during Christmas. This figure is quite popular in certain countries like Austria.